Breakfast can set the stage for the day so let’s talk about how to get more from your breakfast so you can do more with your day! This post is sponsored by Special K Protein. Thanks for supporting the brands that make TFD possible. As always, opinions are my own! 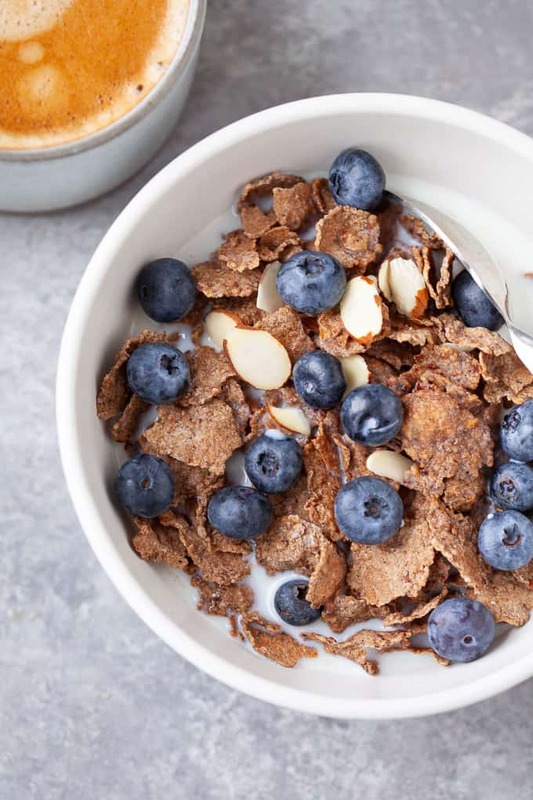 We’ve all heard the saying that “breakfast is the most important meal of the day,” but why is that? Let’s be clear that all meals (breakfast, lunch, and dinner) are important but breakfast sets the stage for the day. 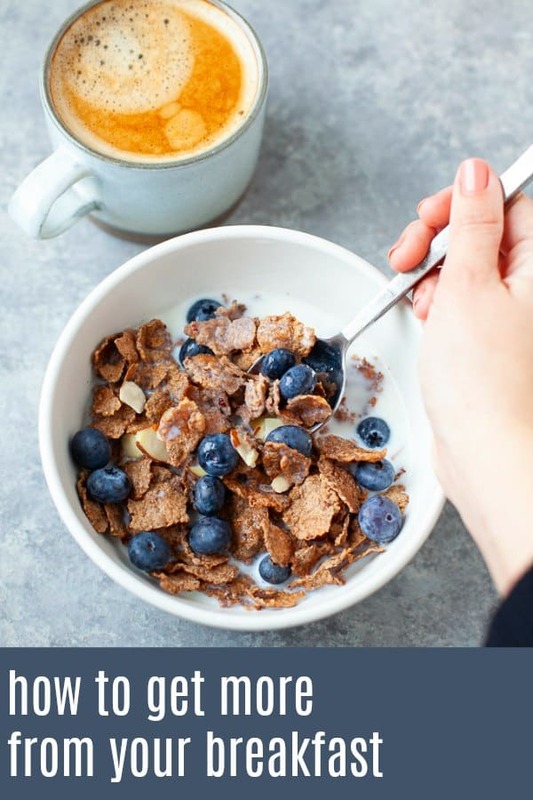 My clients who skip breakfast are more likely to have chaotic eating patterns the rest of the day and are more vulnerable to overeating later at night. My clients who eat breakfast tend to have more consistent meal and snack times throughout the day and an overall balanced eating pattern. Beyond setting the stage for the day, our bodies NEED breakfast. 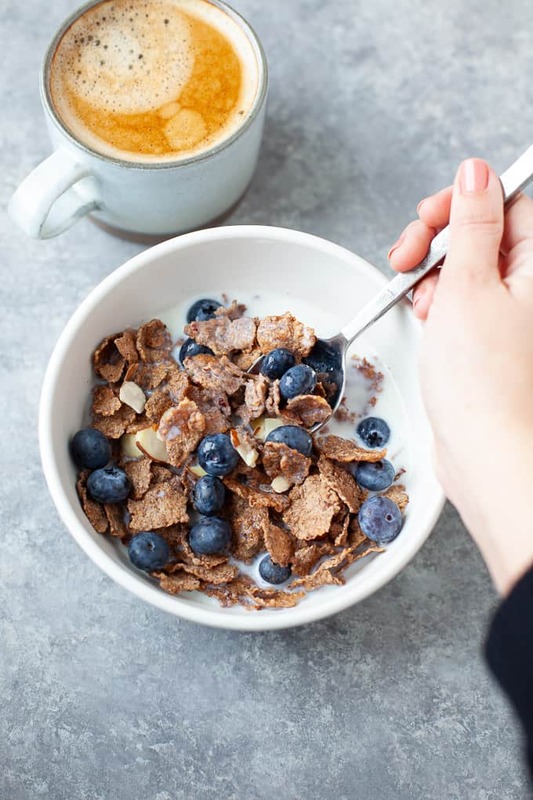 From a physiological standpoint, our blood sugar tends to be low in the morning after a night of fasting, so we need to fuel our bodies upon waking to replenish our energy stores. Skipping breakfast is equivalent to not putting gas in your car and expecting it to drive well on an empty tank. Our bodies don’t function optimally when we don’t fuel them adequately. Knowing that breakfast can set the stage for the day, how can you get more from your breakfast so you can do more with your day? Choose foods that are satiating. You want a breakfast that’s going to fill you up and hold you over for a few hours so you can focus on your morning tasks at hand. 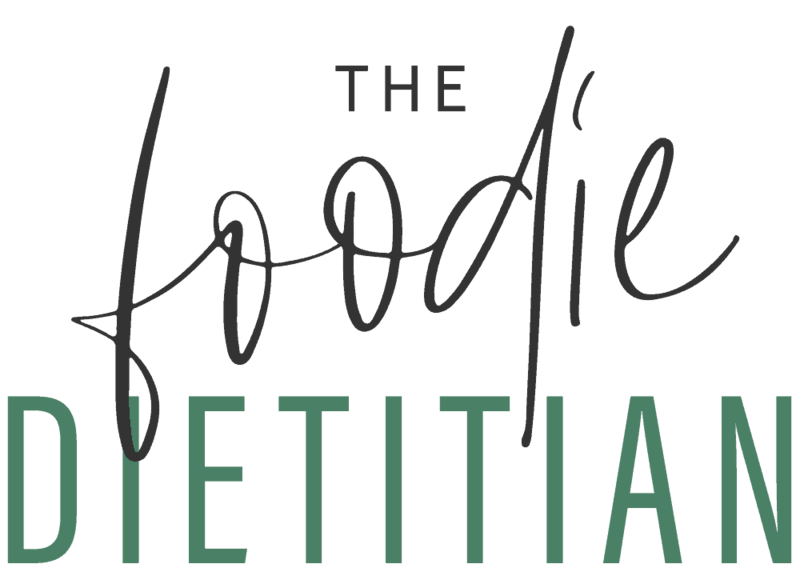 Certain nutrients like fiber, fat and protein take longer to digest so they stay with us longer, helping us to feel full for an extended period of time. Choose breakfasts that pair sources of protein, fat and fiber for sustained energy and satiety. Choose foods that are satisfying. My clients often ask me what the difference is between satiety and satisfaction. Satiety refers to the physical sensation of fullness whereas satisfaction refers to mental sensation of fullness. You might feel full off of a plate full of fruit in the morning but you may not feel satisfied, which can lead to searching for more food or overeating later on. For this reason, aiming for meals that are satisfying is just as important as aiming for meals that are satiating. Satisfaction is individualized but in general, eating a variety of foods and a balance of carbs, fat and protein feels satisfying to most. Set aside time to sit down and eat. 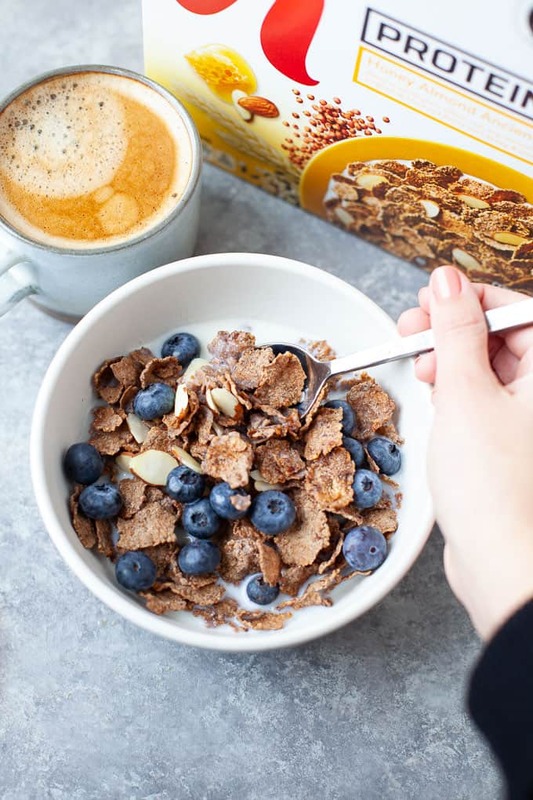 Speaking of satisfaction, imagine eating a breakfast in your car while you’re stuck in a traffic jam versus sitting down to eat breakfast at your kitchen table while you listen to the sounds of birds chirping and smell coffee brewing in your coffee pot. Which one sounds more satisfying to you? Being present for breakfast and not rushing through it can also contribute to the overall satisfaction of the meal. 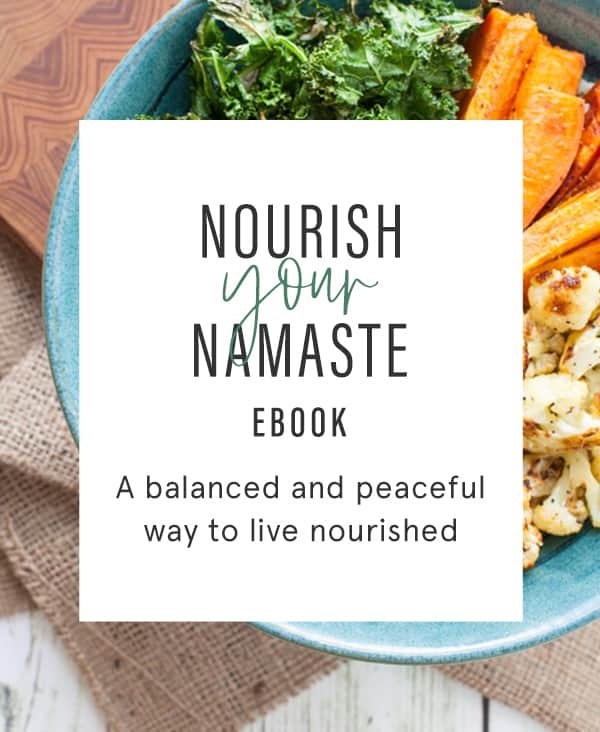 Not to mention, eating slower and practicing mindful eating can help to support your digestion. Create an enjoyable breakfast ritual. Think of other experiences that might make your breakfast routine more enjoyable. In addition to sitting down at the kitchen table, maybe you take that time to read the newspaper or listen to your favorite podcast. Maybe you use your favorite mug to sip coffee out of. 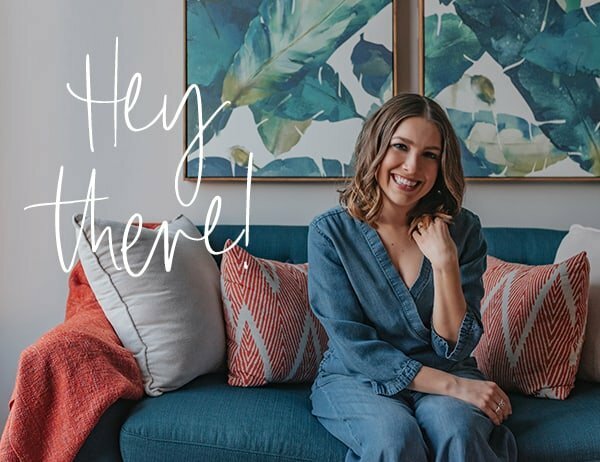 Maybe you invite your family (or fur baby in my case) to join you as an opportunity to connect in the morning before you go your separate ways. I’m going to be honest with you. 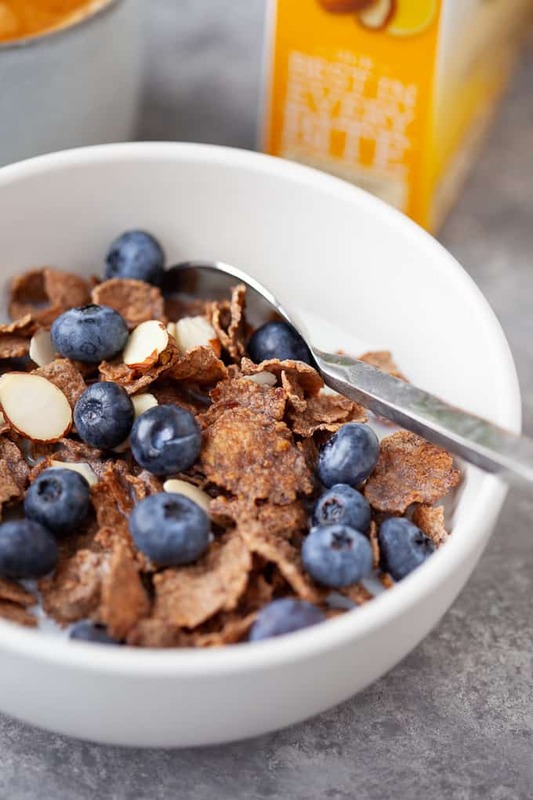 There was a time when I didn’t have cereal in the house and I think there are probably many people out there that still have negative perceptions of cereal fueled by the fear of carbohydrates. But let’s challenge those beliefs, shall we? Let’s remember that carbohydrates are our body and our brain’s primary source of fuel. Today, I love having cereal in the house as a quick breakfast solution. Also, not all cereals are created equal and I make sure to choose a cereal that’s going to be both satiating and satisfying. 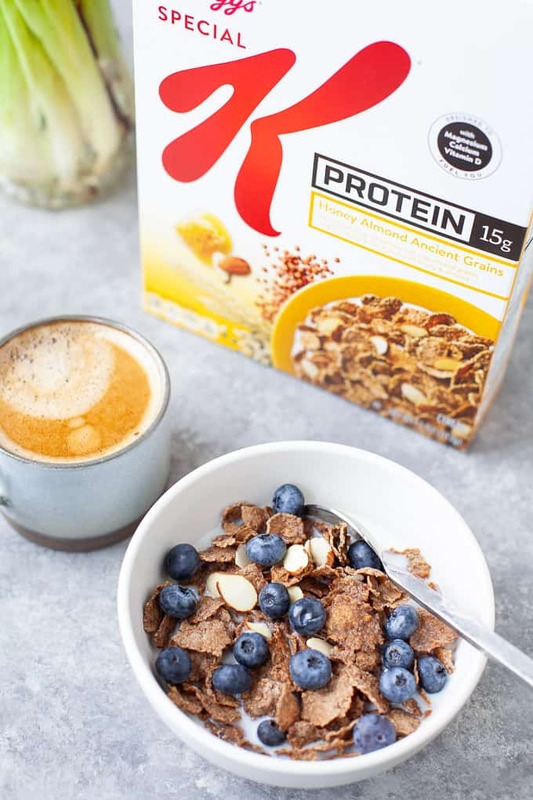 Enter Special K Protein Honey Almond Ancient Grains which provides 15 grams of protein per serving plus features whole grains as its first ingredient and is a good source of fiber! 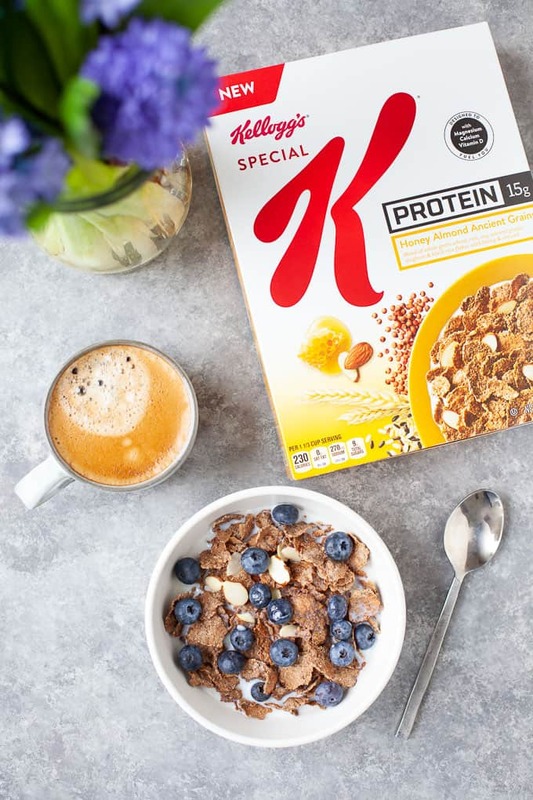 Plus, Special K Protein cereals have more with a nutrient bundle (lookin’ at you magnesium, calcium and vitamin D) that helps protein do its job. 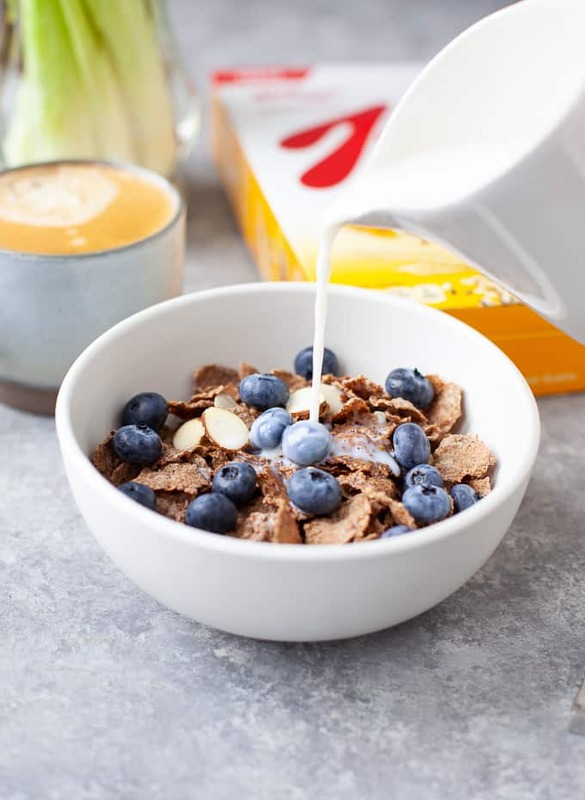 A bowl of Special K Protein with milk helps to meet your full iron requirement for the day and helps contribute to your daily calcium (25%DV), magnesium (15%DV), and vitamin D (20% DV) requirements. WOOT, WOOT! How can you get more from your breakfast? What is it that you want more of? Thanks for explaining the importance of breakfast and sharing the tips for making my breakfast healthier and tastier. I am looking forward for more amazing contents like this. I agree with the fact that breakfast is the most important meal of the day. Since childhood, I always skipped my breakfast, but as I grew up I understood it’s importance. I was looking for some good breakfast recipes and I landed on this page. You have explained the topic really well. I used to skip breakfast most of the time because I am so not a morning person and when I was running late it was always the first thing I crossed off on my list of things that would have to wait. My schedule has gotten better and now I really look forwarding to making a little time (even just 10 minutes) to sit down and enjoy a little breakfast.